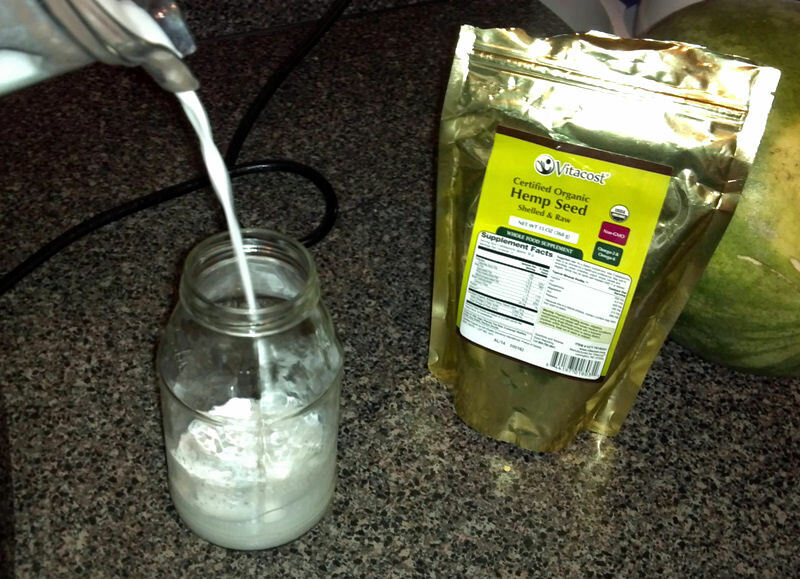 Hemp seed milk is sooo easy to make, and so good for you! Less fat than nuts, but still with all the omega vitamins that nuts contain, along with Vitamin E! Hemp seeds are not naturally sweet, so you usually have to sweeten the milk with either stevia or dates if you do not want to drink it plain. However, I came up with a solution for this, and that is to use coconut water! The water is sweet enough in itself so that you do not need to add any additional sweeteners, and it tastes delicious! 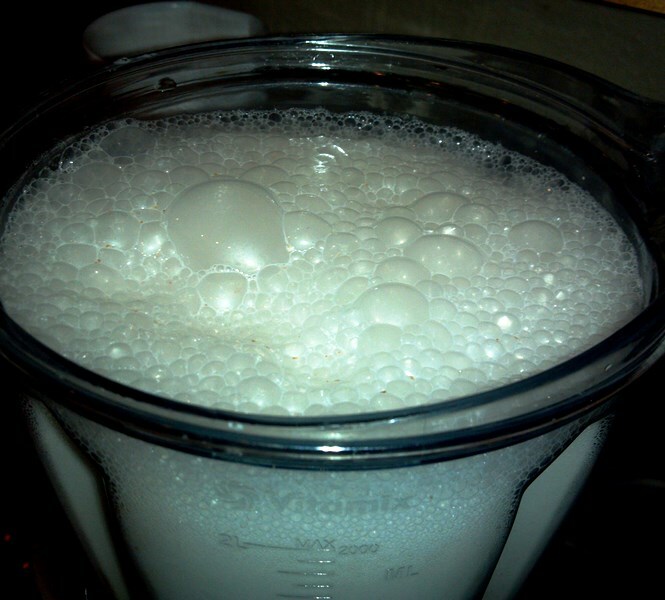 Blend on high for about 2 minutes, until the mixture becomes a frothy, milky consistency. Pour it into jars and store in the fridge, it can keep for over a week! And that’s it! Simple, sweet and delicious!